Jenny has enjoyed a long career in the real estate industry spanning over 30yrs. 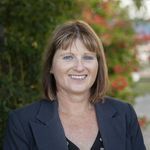 Working primarily with only 2 organisations in the Hunter Valley in both property management and strata management, Jenny has gained the type of people and property experience that only comes with a long term commitment to the industry. Jenny brings experience, skills, knowledge and benefit of business maturity to Valley Estate Agents. Her wealth of experience in the industry is invaluable. Jenny is dedicated in providing positive outcomes for our Landlord and Tenants, making her an asset to our team and customers.